Peb fort, also known as Vikatgad is situated at a distance of 3-4 km on west side of Neral. 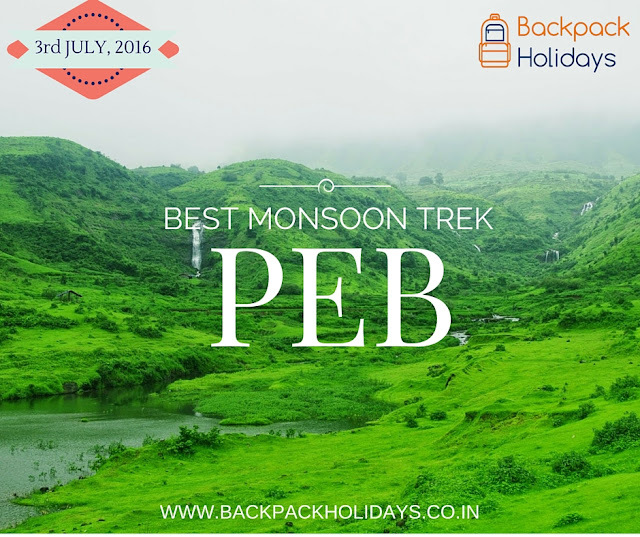 This is the most beautiful one-day trek near Mumbai, especially in monsoon. To avoid crowd at hill stations like Matheran, nature lovers must visit this fort. The fort derives it name from the Goddess ‘Pebi’; The fort is also named as ‘VikatGad’ for its supposed shape of the Elephant Headed God, ‘Ganesh’. Historical references clearly indicate that Shivaji Maharaj used the caves on the fort as silos for grain storage. The hike up from Neral to Peb passes through a mix of forest cover & open patches. The trek is gradual with a few steep patches towards the end.